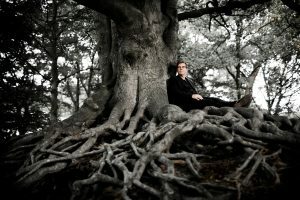 Boudewijn Jansen is a conductor with a wide repertoire focusing on opera and oratorium. After he studied piano and orchestra conducting, complemented with chorus conducting, violoncello, organ and singing, he worked with the Dutch Touring Opera and the Stichting Kameropera Nederland. Since 1994, Boudewijn Jansen has been a member of the musical staff of the Dutch National Opera . Here he debuted as a conductor in 2001 with Jenůfa (Janacek) with the Radio Philharmonic Orchestra and later he conducted Die Meistersinger von Nürnberg (Wagner) with the Dutch Philharmonic Orchestra. Several times he prepared the Choir of the National Opera. In 2013, he conducted the Dutch Blazersensemble and the Choir at the coronation of King Willem-Alexander. 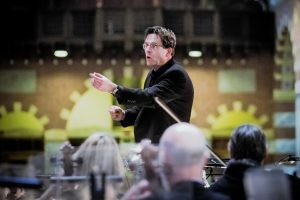 He has been artistic director of the renowned Toonkunstkoor Amsterdam since 2003, which is of ten a performing with the Concertgebouw Kamerorkest. He conducted many prominent choirs, such as the Dutch Chamber Choir, Dutch Concert Choir and the VU Chamber Choir. He has been conducting almost all Dutch orchestras. He organized several large-scale benefit concerts including Beethoven IX and the Requiem of Verdi (in Carré, starring Eva Maria Westbroek and Tanja Kross). He teaches and coaches conductors, repetiteurs and singers. Of particular musical importance to him was the cooperation with sir Simon Rattle, Pierre Boulez and Mariss Jansons. Boudewijn is married and has four children. This is a great source of energy and inspiration.